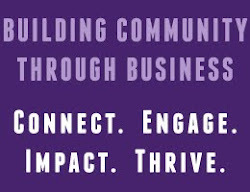 Asheville Business Blog: Asheville Community Theatre's 71st season opens with "Sweeney Todd"
Asheville Community Theatre's 71st season opens with "Sweeney Todd"
Asheville Community Theatre is opening its 71st season with a musical masterpiece: Stephen Sondheim’s Sweeney Todd. This dark and macabre musical is a portrait of revenge and psychosis told through a musical score that is nothing short of genius. 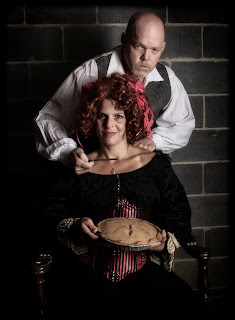 Asheville Community Theatre’s production of Sweeney Todd is directed by Jerry Crouch with music direction by Lenora Thom. Sweeney Todd opens October 7, 2016 and runs through October 30, 2016 with performances Friday and Saturday nights at 7:30 pm and Sunday afternoons at 2:30 pm. Tickets are available online at www.ashevilletheatre.org, over the phone at 828-254-1320, or in person at the Asheville Community Theatre Box Office. The character of Sweeney Todd is based on an urban legend. Sweeney Todd is London's mythical murderous “Demon Barber of Fleet Street” and first appeared as a character in 19th century serials and stories. In the musical, the unjustly imprisoned Sweeney Todd returns to England bent on revenge against the corrupt judge who sentenced him – a revenge that turns indiscriminately murderous. He opens a popular new barber practice above a failing pie shop, and he meets the resourceful proprietress, Mrs. Lovett, who soon becomes his accomplice when she realizes that adding a new ingredient to her meat pies has the people of London lining up for more. This Tony Award-winning musical features one of Sondheim’s darkest and most intricate scores. Jerry Crouch and Lenora Thom are the perfect team to helm Sweeney Todd. Over the years the partnership of Crouch and Thom have thrilled and entertained ACT and Asheville audiences to the show-stopping Broadway tunes of Annie, Fiddler on the Roof, Guys & Dolls, Annie Get Your Gun and Cabaret. They have clocked in over one hundred musical productions between them. For Sweeney Todd, 78 actors auditioned and Crouch and Thom selected a cast of 34. About half of the cast is new to the ACT stage, including Steve Parkin who stars as Sweeney Todd. Parkin has a background in opera and theatre and describes this as his own "bucket list dream role." After starring in last season’s The Man Who Came to Dinner, Christy Montesdeoca is making her ACT musical debut as Mrs. Lovett. Rehearsals for Sweeney Todd began in mid-August. Thom and Crouch agree that the secret to a successful musical is hitting the ground running with two solid weeks of music (under Thom's sharp eared tutelage) – and for Sweeney Todd, this includes the nine principals and the chorus of 25. When actors are free from those music intensives, Crouch is busy staging the songs and scenes in another part of the theatre. For Opening Weekend, tickets have been slashed! The Slashed Ticket is $20.00 for adults, seniors, and students for all three Opening Weekend performances. Other Opening Weekend perks include complimentary champagne on Opening Night, complimentary chocolate on Saturday night, and a talk-back with the cast and crew after the Sunday matinee. For more information about Sweeney Todd or about Asheville Community Theatre, please visit www.ashevilletheatre.org.